From the movie First Spaceship on Venus ca.1960. Best used with Infinite Fuel. In the movie, the ship carried about 6-8 people. Toggling the landing gear also toggles the ladders. The forward-facing Aerospike Engines are to be turned off at first by pressing ‘9’, and pressing ‘0’ toggles all the engines, thus letting the forward-facing Aerospike engines to act as reverse thrusters. Be careful! This craft’s landings take a bit of practice. But, think of the science fun! 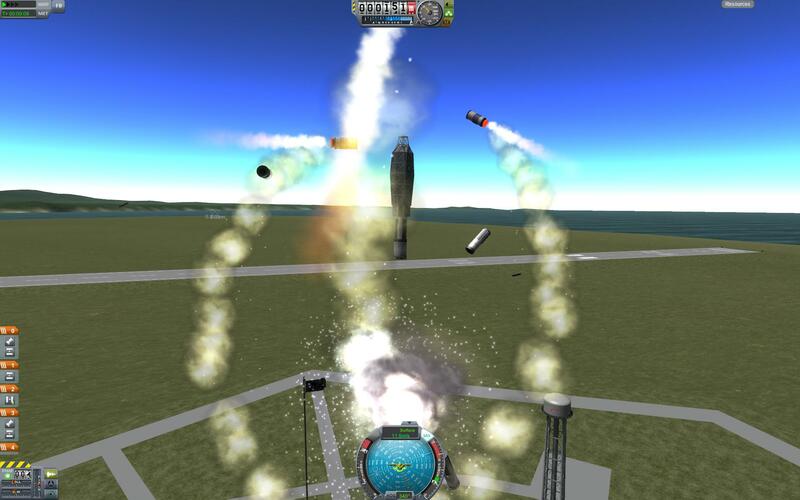 A stock rocket called Cosmostrator. Built with 69 of the finest parts, its root part is Mark1-2Pod.